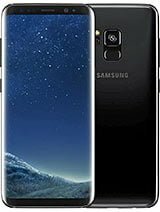 Samsung Galaxy S9 device is an upcoming Android smartphone that comes from Samsung Mobile. The smartphone comes with a 5.8 inches Super AMOLED Display with a resolution of 1440×2960 pixels and pixel per inches is ~568. Galaxy S9 powered by Octa-Core Processor and it comes with 4 gigs of ram. This device has world first f/1.6 aperture camera. Samsung use only 12 MP camera on the rear and 8 MP camera for selfies. Both camera aperture is f/1.6 so it’s can get the too much quality full picture. Galaxy S9 is available in Bangladesh Approx Feb 2018 and Galaxy S9 price is approx 80,000/- BDT. Sensors – Iris scanner, fingerprint (rear-mounted), Accelerometer, proximity, compass, gyro, light, barometer, heart rate, SpO2.